Buster Posey has matched his career high with three doubles tonight. Each one drove in a run. Posey's x-ray came back negative. Has a finger contusion and a lot of swelling, but Giants got good news. Strickland said, "I know Buster has our back as a group and team" and didn't seem bothered catcher didn't get involved. Is Buster Posey Having the Strangest Season Ever? Why Was Buster Posey Yelling at Brandon Belt? How Much Longer Can Buster Stay Behind the Plate? 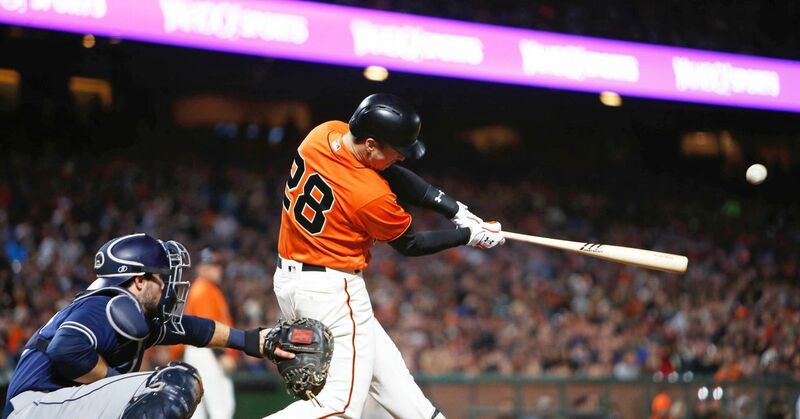 What Does Hundley Addition Mean for Posey?